Cary Kolat is one of the top wrestlers our nation has ever produced. He has been successful at every level of competition. Cary is a 4x PA High School State Champ, 2x NCAA champ, 2x World Medalist and 2000 Olympian. Throughout his long career Cary has been a student of wrestling and possesses a limitless amount of technical knowledge and experience. 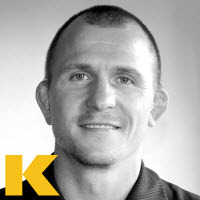 In 2007, Cary created the first ever online library of wrestling technique and poured his knowledge into KOLAT.COM. As the head wrestling coach at Campbell University, Cary continues to teach and learn while continually updating KOLAT.COM to maintain it's status as the number one online resource for wrestlers of all ages. "Technique is so important in wrestling that as I improved I was constantly forced to seek out coaches who could take me to the next level. Throughout my career I learned from the best coaches and developed a vast amount of technical knowledge that helped me obtain the highest levels of success."